If you’re interested in lake homes for sale in Maine, keep Sebago Lake in mind. Sebago Lake is the second-largest and deepest lake in the state, and it offers some of the finest year-round outdoor recreation around. Not only is it renowned for hosting a uniquely diverse array of fish for your hunting pleasure, but Sebago Lake is also known for keeping lake goers captivated by its stunning scenery and bounty of activities all throughout the year. Sebago Lake spans seven ...Learn more here! 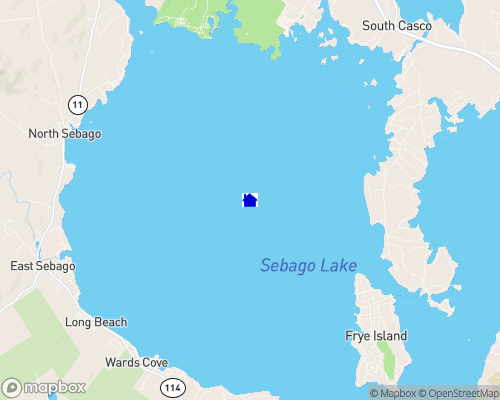 Sebago Lake spans seven towns: Naples, Raymond, Casco, Standish, Sebago, Windham, and Frye Island (an inhabited island on the lake). The sheer size of the lake encourages anglers of all skill levels to find their favorite spot, settle in, and get ready for a fun and fruitful hunt! It is a rare treat to come across natural populations of fish like salmon and smelt in a land-locked lake, but that’s exactly what you’ll find here. The fish became trapped in the lake’s basin by retreating glaciers and sea water thousands of years ago, and they continue to thrive today. Your hook will snag prizes like brook trout, brown trout, lake trout, and northern pike, along with small and largemouth bass. Boasting 45 square miles of surface area and 105 miles of forested shoreline, it’s no wonder Sebago Lake is a favorite destination for beach and water sport enthusiasts. The lake is fed by several sources, including the Songo and Presumpscot rivers. The continuous flow of water from these inlets creates an active lake capable of supporting all varieties of water recreation. With 43 miles of unbroken waterway stretching out to welcome you on your sailboat, powerboat, pontoon, jet ski, kayak, or raft, Sebago lake is irresistible. If you prefer to float along as a passenger, step onto the Songo River Queen—this iconic paddle wheel steamboat will show you the sights and invite you to relax. Lake properties for sale enjoy access to fun both on and off the water. The Sebago Lake State Park borders the north shore of the lake and features a number of top-notch recreation accommodations. Open year round, the park occupies 1,400 acres of land complete with beaches, campgrounds, walking trails, concessions, and boat launches. Your lake-view property is also within range of premium golfing at courses like the Point Sebago Resort. Here you’ll enjoy a challenging round surrounded by majestic white birch trees and rolling hills. If you’d like to live on a Sebago Lake area golf course, visit GolfHomes.com for property listings and details. In the winter, offshore fishing becomes ice fishing and walking trails lead you to ski through the forest. Sebago Lake is stunning all year!